June's drawing will be announced on July 2nd. Arlene wants to say Thank You with some summer ice cream. 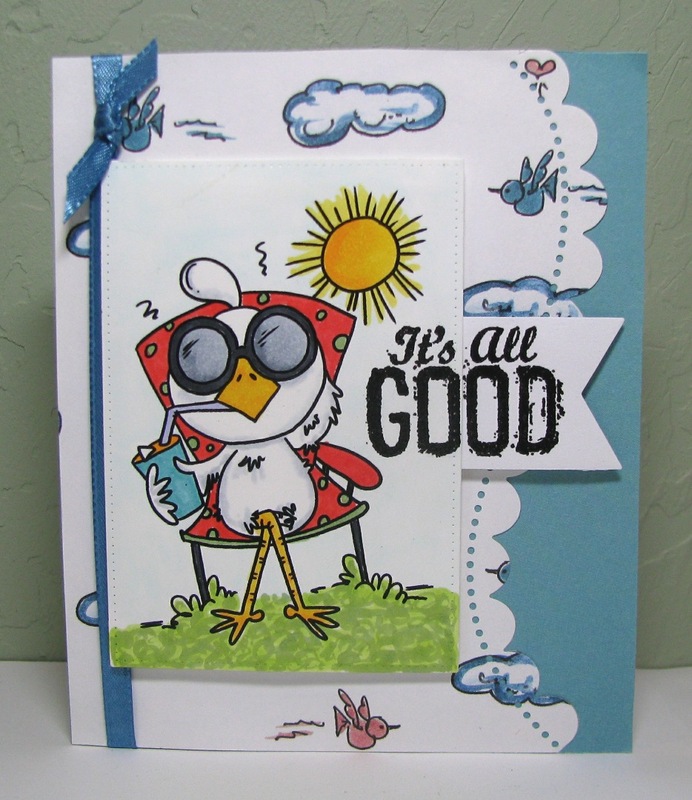 This Bugaboo image (JJ Beach) can be found at Bugaboo Stamps here. and you can find this image here. Monica's card is tower of critters with a flower of thanks for Bugaboo! To see more about the card visit Monica's blog. 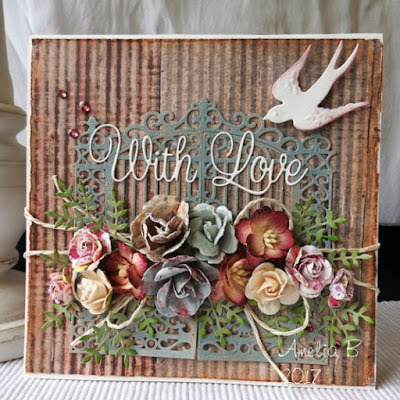 Made an embossed background onto some water colour paper that had been coloured with Gelatos. The perfect summer colour! You still have a day or two to join us with your Summer inspired projects. Who doesn't like to see a Penguin Floating Around? The sponsor for Die Cut Divas this month is Bugaboo Stamps. 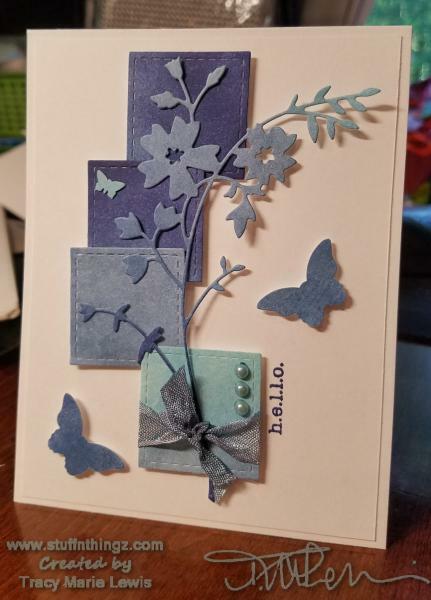 I've already mailed this card to a friend to cheer him up. 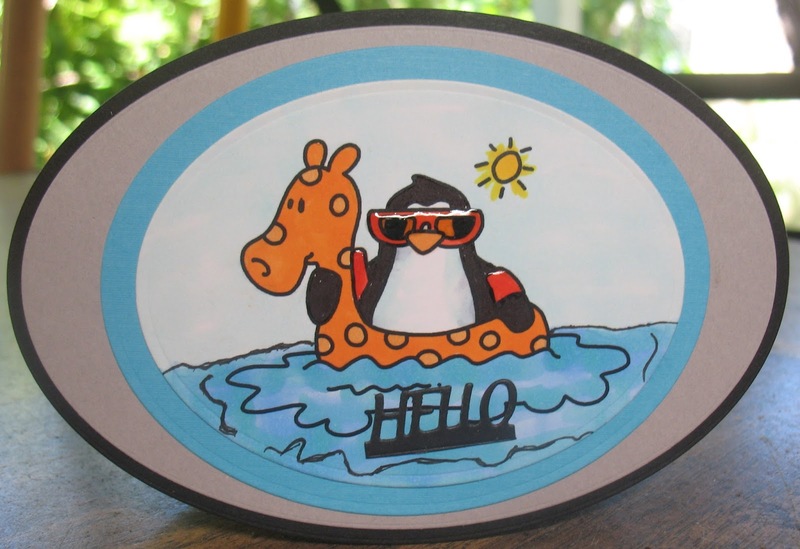 The inside says "We couldn't get you a Rubber Duckie, so we got you a Floating Penguin". I know it's rather nonsensical, but, sometimes my brain just goes in that direction. The sun glasses are filled with Glossy Accents, making for a mirror finish. This really did turn out cute and ok, even for a guy. 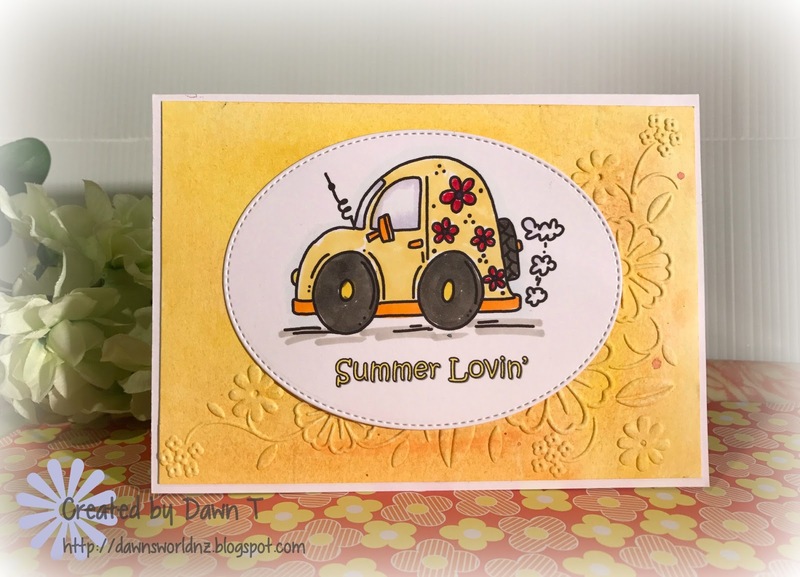 Enter the Die Cut Divas challenge of Summer Fun for June. Monika here to share another "Summer Fun" project. I made a spinner card. 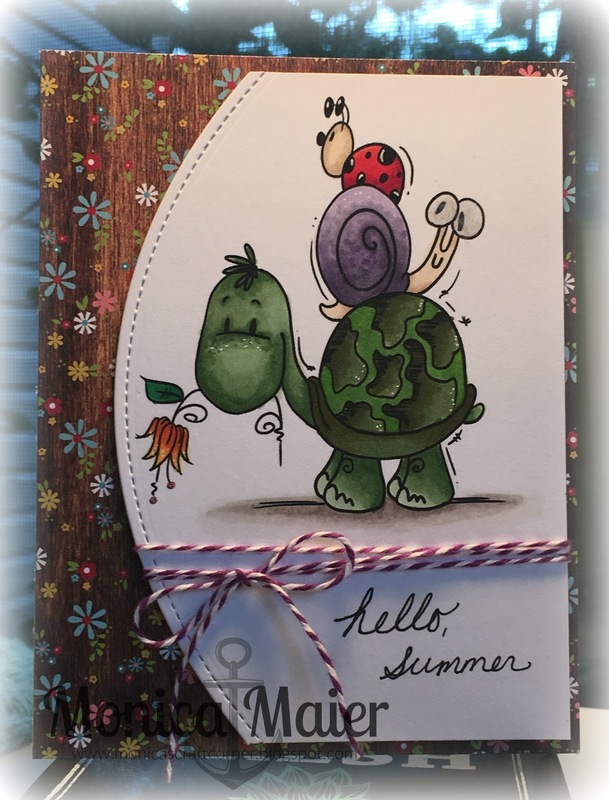 Come and join in to fun and make some "Summer Fun" projects!! Hello and happy first day of SUMMER!!! It's officially here... well for those of us on the northern half anyway. ;-) Hope everyone is have a great week so for, if not it's half over! 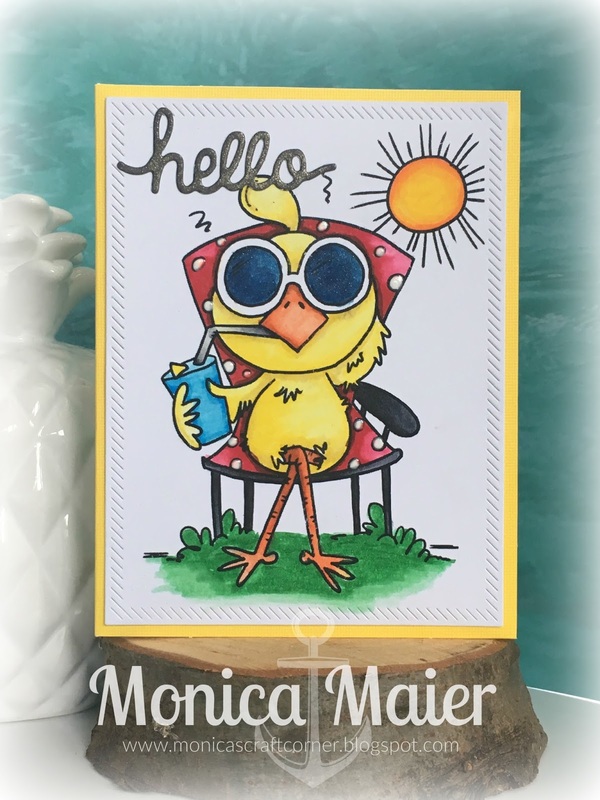 For my card today I used this cute sun bathing chick (Fired Chicken) from our wonderful sponsor Bugaboo! I thought it was very appropriate for my post today! 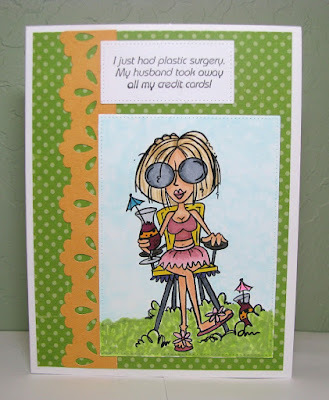 To see more about the card please visit me HERE. Thanks as always for stopping by, we love to see your creations with die cuts and/or embossing! Our Dear friend Cindy has retired from the DCD, and we need Your Help. 2. DTs comment on entries according to the last number of the entry, e.g. 3 and 7, (#s 3, 7,13,17, 23, 27...). 4. 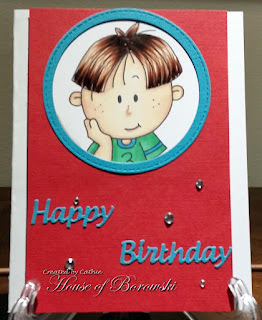 Have cards ready and inserted in Design blog at least a week prior to publishing the post so if anything happens (internet outage or a forgotten post date), the post is still ready to go. This is not a MUST do, but certainly helps being ready and supporting your other team members. 3. Are you on a team now? What ones. What is/are the DT blog address(es)? 4. Have you ever been on a team? Which one(s). What is/are the DT blog address(es)? Being on other teams does not count against or for you. It means you have some experience with being on time with your posts and working with a team. 5. Sponsors, Arlene is our sponsor coordinator, but if you want or know of someone who will sponsor us let her know, and between you and Arlene, the prospective sponsor will be contacted. Sometimes a sponsor will provide digital images, stamps or dies, but sometimes not. . This image is Fried Chicken (Bugaboo Stamps), and summer fun means enjoy the sunshine with a nice cool drink! I hope he doesn't get too much sun and find himself on someones dinner plate! If you would like more information on this card, you can visit me here. Hope you're have a fun day crafting, I sure did. and our June challenge theme is Summer Fun. 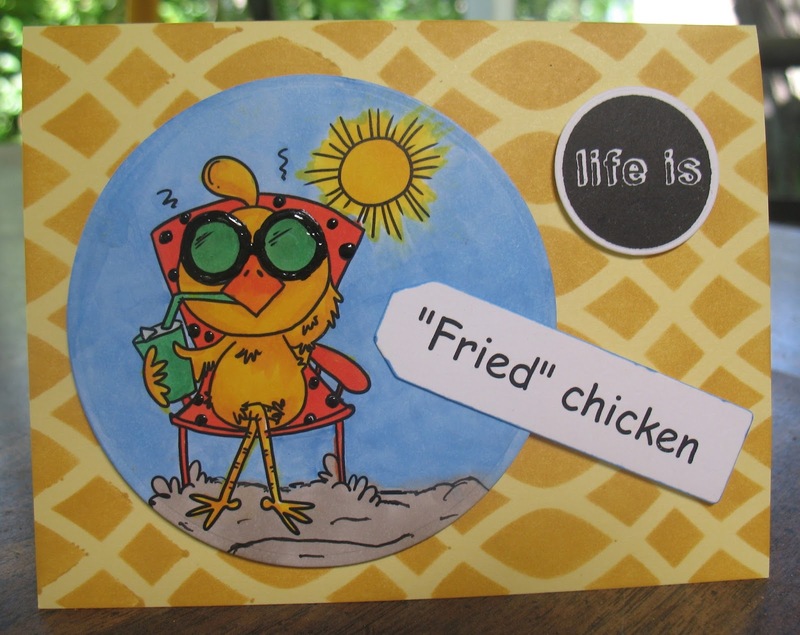 After I printed the "Fried" Chicken image from Bugaboo Digi Stamp, I colored it with coloring pencils. 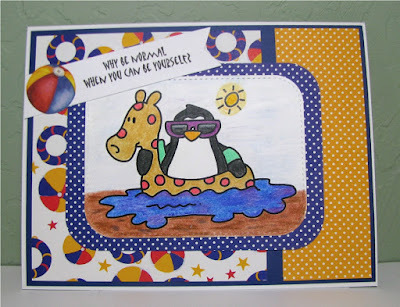 Then I use the inking tool and sponged distress ink to create the background. In order to add some perspective, I drew tiny birds and a sail boat. There is still plenty time to join in the challenge. Come on over and play. 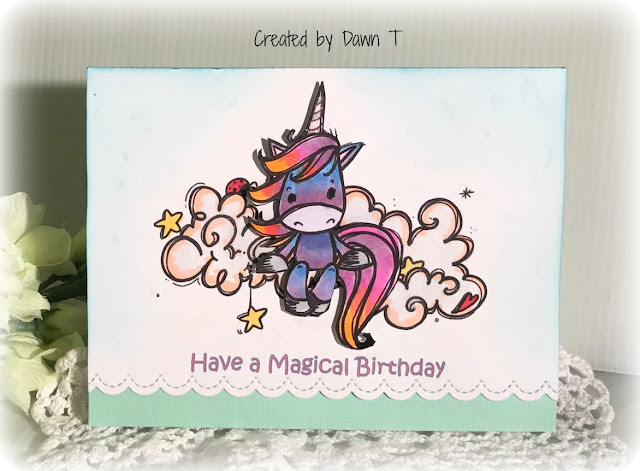 It's been a real pleasure creating with the talented Design Team on Die Cut Divas. But my plate is getting too full and I have decided to step down. Today's post is my last post here, I would like to send a big Thank You to the Divas. Until next time, happy crafting!! 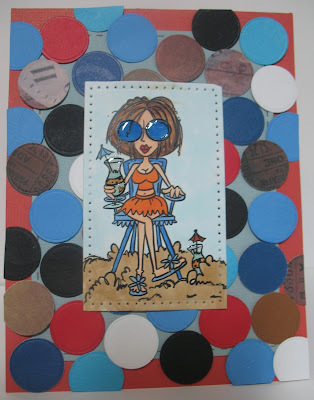 Hi everyone, Cathie here with a project for our Summer Fun challenge this month. 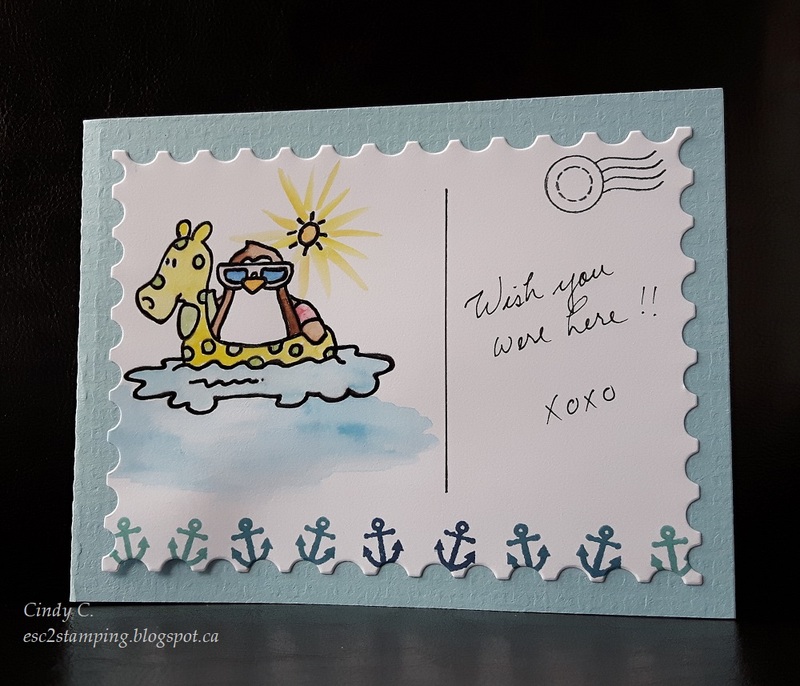 The sponsor this month is Bugaboo Stamps, and the hard decision is trying to choose just one image to fit this theme as there are so many. 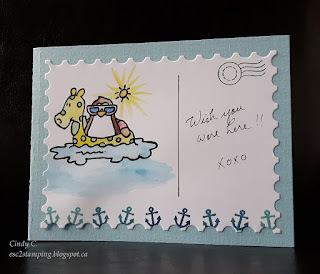 I decided on Bugaboo Stamps JJ Beach and here is my project. Until next time have a great day!! Our challenge this month is Summer Fun...and Bugaboo is our sponsor. 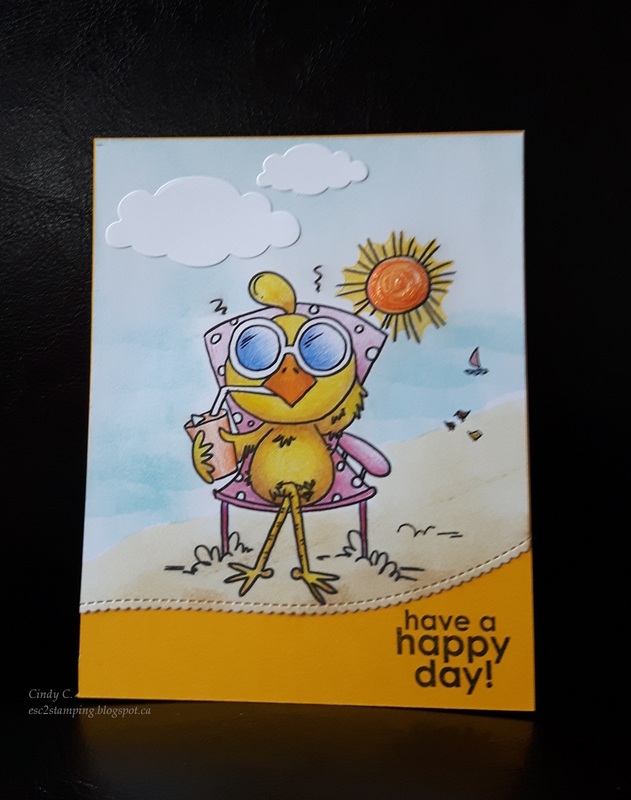 I used a Pretty Pink Posh border die to cut my panel. I printed the unicorn out and after I coloured it up and then fussy cut and used dimensional tape to pop it up. 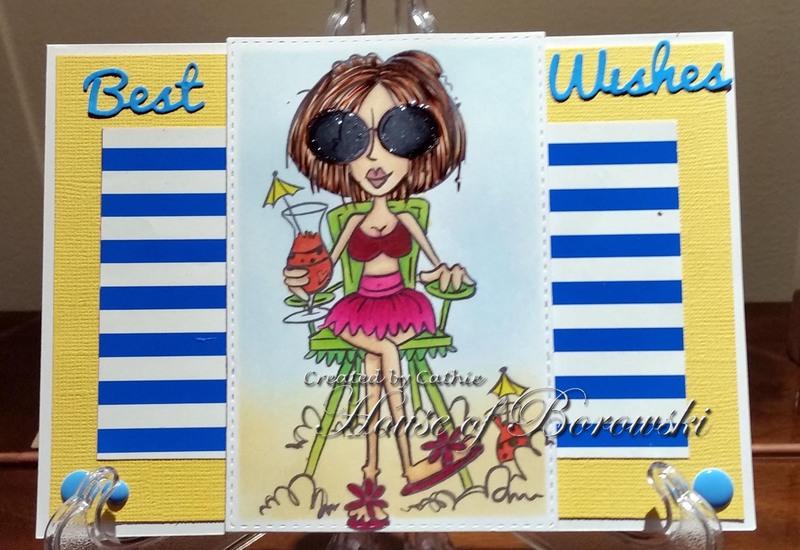 Drinking a cool glass of pink lemonade under the sun is my kind of Summer Fun! Yes, my "Fried" Chicken is doing exactly that. 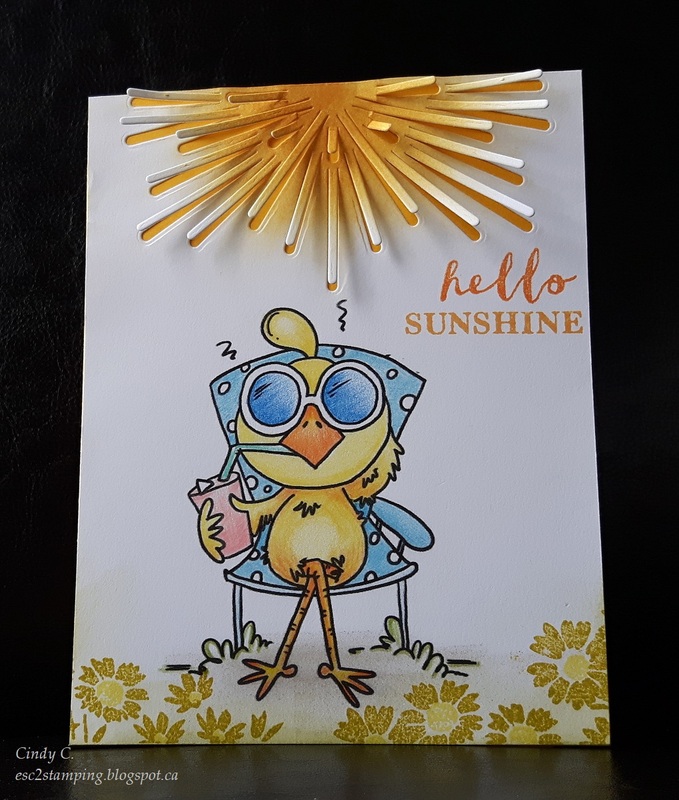 There is a sun image in the original digi stamp, but since I want to use the Sunburst layering die from the Hero Arts Monthly Kit, I digitally erased it. 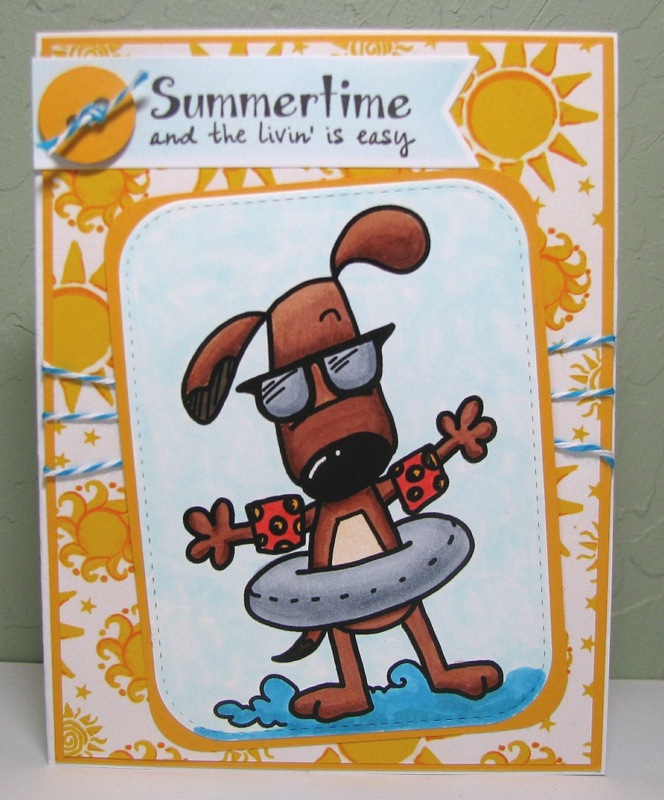 What is your kind of Summer Fun? Come join in the challenge. Let's have some SUMMER FUN! This month, it's all about summer fun. It's just a Bug Pup Summer and I couldn't resist these pups. 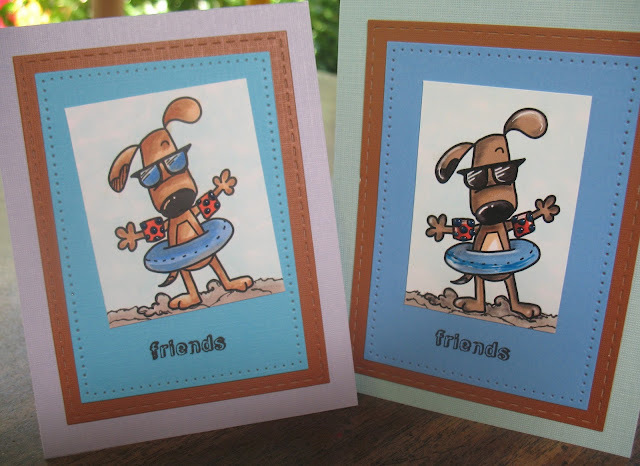 I used a colored image for the card on the right and an uncolored image on the left card, which I colored with Copic markers. I love a TWO FOR ONE. I did have similar colors in mind, so it was very easy to color and have fun with this pup. 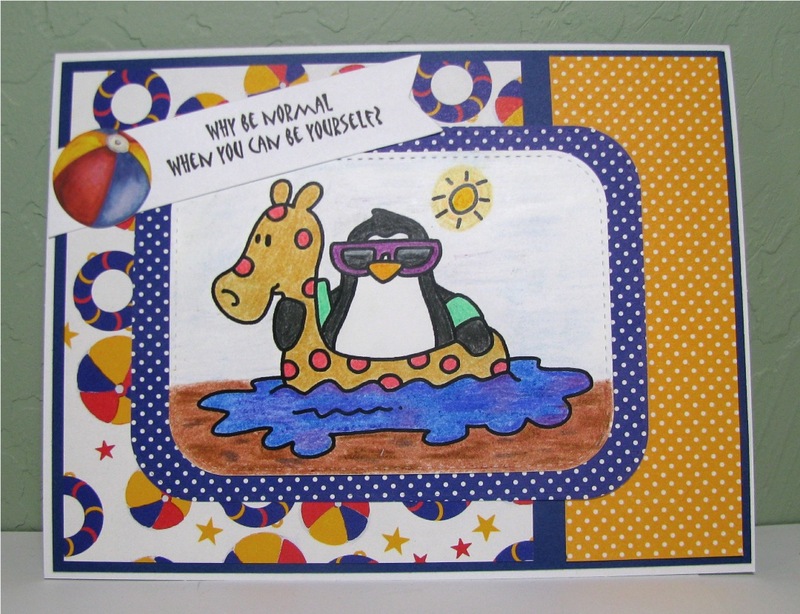 I used some Novu black dots on the floaters on the hands on both cards. Fun and cute. I put a bit of Blue Midnight Nuvo on the tire and swirled it a bit, giving the tire a tire-type shine. Bugaboo images come in such a fun range and I couldn't resist our team's selections this month. 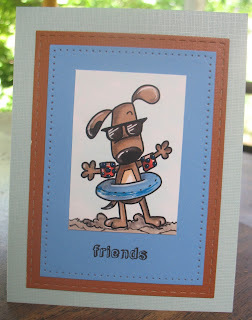 Have fun and join in the challenge of Summer Fun. This cute little pup is found at Bugaboo Stamps right here. I just love pups with personality, and this one is loaded with it! 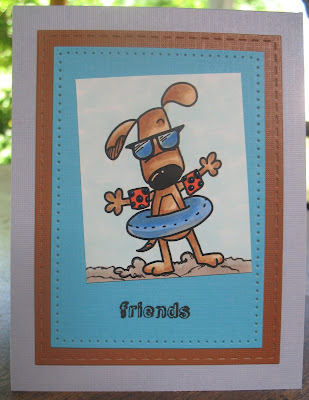 I used the Summer Pup (Bugaboo Stamps) for my card, and he looks like he could be surfing at the beach or the lake. If you would like more information on what I used, you can visit me here. Winner is Vinita Jain, # 64. Please contact our email. Monika loves this delicate rose card from Ina. Beautifully colored rose, wonderful colors and composition. Arlene chose Tracy's blue Ombre. I couldn't resist the simple and tight design and colors. 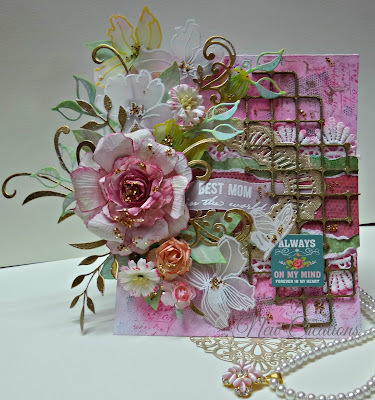 Cindy's favorite is Amelia's Flower Galore card, Love the dimensions and textures! Arlene couldn't resist a little fried chicken. 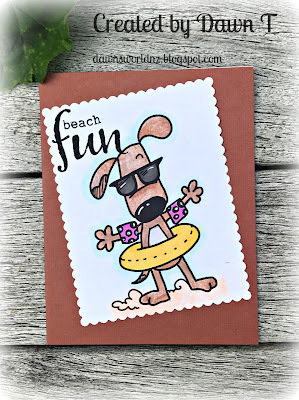 Dawn used this really cute Puppy having fun at the beach! Cindy wishes she could join in some water fun.